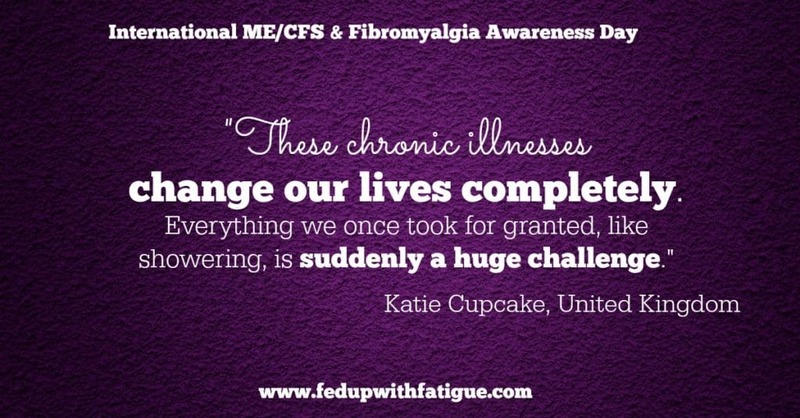 Well, today’s the day…May 12, 2016 – International ME/CFS and Fibromyalgia Awareness Day! 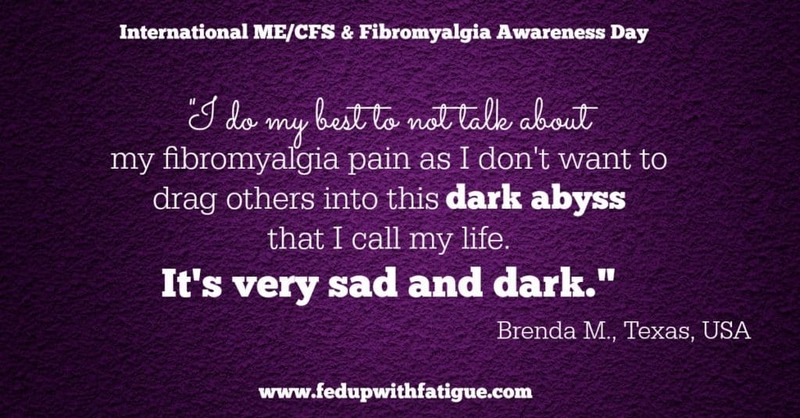 Last month, I posed a question to my blog readers and social media followers: What would you like for others to know about fibromyalgia and ME/CFS? My inbox was flooded with answers, and you guys didn’t hold back! As promised, I’ve compiled a sampling of the responses below. 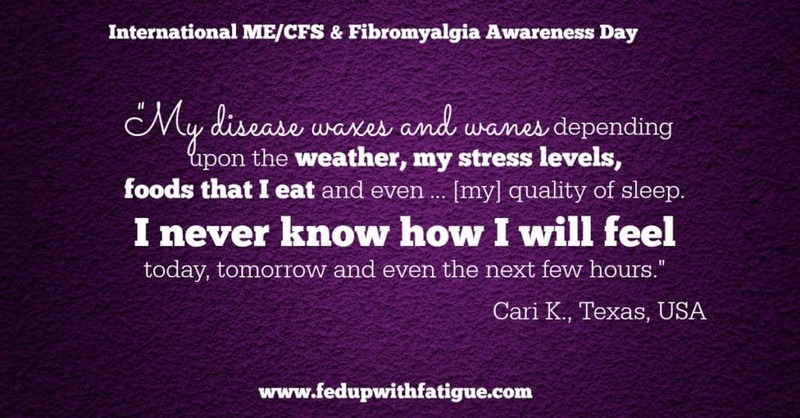 I’ve also created graphics that you’re welcome to share on social media to raise awareness for fibromyalgia and ME/CFS on this day (or any day, for that matter). 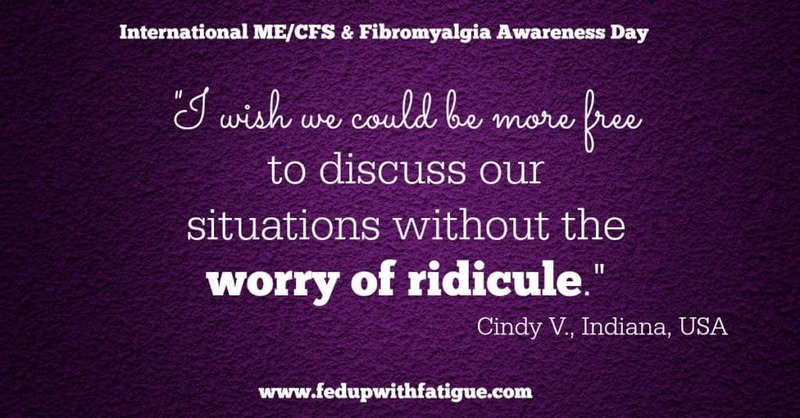 If you missed my prior invitation, feel free to share what you would like others to know about fibromyalgia and/or ME/CFS in the comments below! 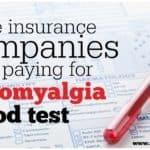 “Fibromyalgia is still a mystery in general and to the medical community. 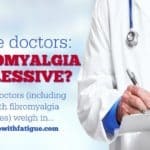 Yet to those of us diagnosed with fibromyalgia, there is no mystery. We are so fatigued, others think we are lazy. We are in pain that never leaves. We are in what is called “fibro fog” where our brains function as if we were at sea with no land in sight. We have memory loss. Individuals have a plethora of symptoms. 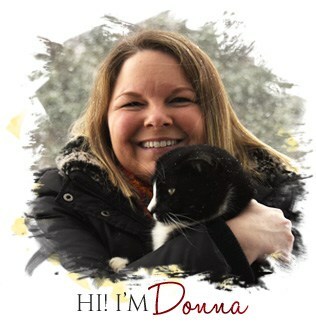 “I would like people to be aware of how difficult it is to get through every day doing daily tasks like working and laundry and cleaning, etc., with the pain and exhaustion. I also would like people to know that this is a real illness. Just because I don’t mope around feeling sorry for myself and looking for sympathy doesn’t mean I’m not in pain or exhausted and can barely function. “On the worse days, getting dressed seems like a might achievement. On these days, I feel like I have been hit by several lorries or buses. Some of those stopped and tried to put me out of my misery by reversing over me several times. Simple things such as reaching for the television remote make me shout in pain. “I can’t think straight. When having a conversation, the names of things are forgotten. For instance, I might want to say to my husband to put those dishes in the dishwasher. I say, ‘Put those dishes in the…’ and I am looking at it, and for the life of me I can’t remember what it is called. I might say the washing machine. Or I might curse and say ‘that bloody great white thing’ and point at it. 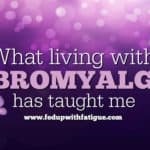 “The one thing I would like others to know about fibromyalgia is that only a small, tiny really, percentage of sufferers use their illness as a crutch, a way to seek attention or to get medication. That tiny percentage should not, in any way, represent the vast majority of sufferers that are actively seeking help and treatment for their pain. 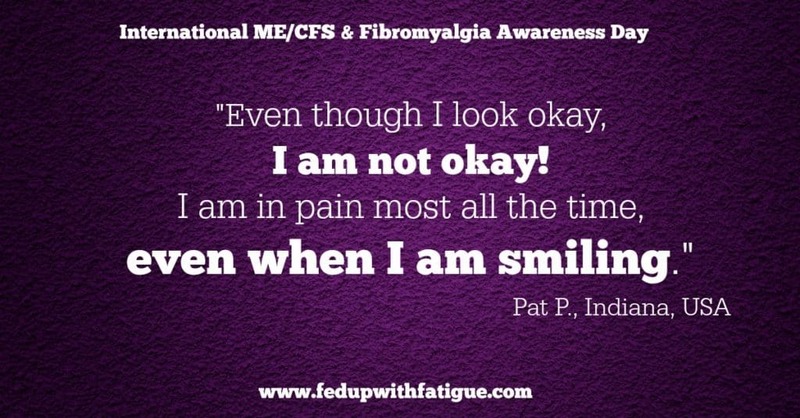 Our pain caused by fibromyalgia should not be minimized, dismissed, ridiculed or mocked because of a stereotype or what someone might think. “These chronic illnesses change our lives completely. Everything we once took for granted, like showering, is suddenly a huge challenge. Cooking ourselves a meal now feels like a huge achievement! “Your friend isn’t avoiding you; she’s just too unwell to leave the house. Your colleague isn’t pulling a sickie or exaggerating; they’re feeling too poorly to even brush their teeth and get dressed. “Here’s what being diagnosed with ME/CFS over 12 years ago has brought me: Loss of a beloved career as a registered nurse, poverty, being ostracized and ignored by my own family, almost total isolation, severe depression and anxiety, loss of ability to engage in hobbies and as a former athlete, inability to engage in sports and physical fitness, daily, non-stop pain and difficulty in more actively participating in my beloved grandsons’ lives, which is very heartbreaking. “My disease waxes and wanes depending upon the weather, my stress levels, foods that I eat and even the quality of sleep that I get on any given day. I never know how I will feel today, tomorrow and even the next few hours, if I will be okay or bedridden with today’s bout of pain and medication-induced nausea, or migraine, or muscle pain, or extreme fatigue. “The pain is so exhausting. 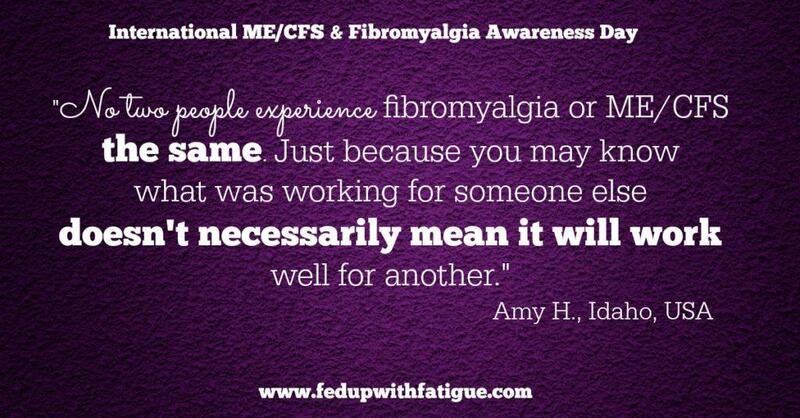 Those that don’t have fibro just don’t understand. They see you sleeping all the time, so they think you should be well rested, but you’re not. You never are. 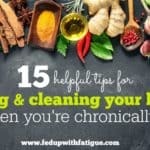 So folks just assume that you are lazy and are trying to get out of doing things: working, cleaning the house, taking care of the kids/family/pets, etc., etc., etc., which this, too, becomes exhausting to a person with fibro who has to constantly defend themselves for their actions or lack of actions. 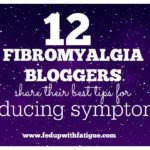 “I have found the most difficult challenge with having fibro are the various people who don’t believe it to be a condition. Many people tell me if I just change my diet and don’t think about it, that will make my symptoms go away. Those two antidotes do help, but they are NOT a cure. Even with Lyrica, changing my diet, doing meditation and mindfulness, and exercise, I still have episodes that make me crumble in bed. I am grieving the energetic and optimistic person I was pre-pain and fatigue. I certainly have not lost those traits completely, but it’s been a challenge and taken great effort to maintain them as I am newly diagnosed. “Another challenge is the way that it impacts my family. There are often moments I have had to stay behind and miss certain activities because I could not muster the energy or push through the pain. Due to this, I have made a concerted effort to educate my family about fibro and the way I experience it so that may enlighten them and create some understanding and compassion. The fact that I am a Licensed Professional Counselor has been a blessing as I already have been proficient in understanding pain management. It’s also bittersweet to say it’s cultivated a deeper, empathetic approach with my clients who suffer from chronic pain issues of all kinds. “Our smiles do not mean that we’re okay. They usually mean we’re putting up a front so we don’t have to explain, yet again, pain that is unexplainable unless you live it. We cry behind closed doors. We often face the world alone – either because we can’t participate or others have given up on us. “No, we don’t like the way our houses look. We wish we could keep up with all of the kids’ messes and things that normal people do daily. Vacuuming alone requires a two-hour rest. We love our family and friends; please do visit. “We have tried everything we’ve come across to beat this. Please don’t say things like, ‘Maybe if you try … maybe if you walk more …’ (My legs are already 5x their size.) Please, if doctors can’t find something then it’s highly doubtful your advice will work. “Fibromyalgia affects 10 million men, women and children in the United States. There is no cure, but there are treatments that can help relieve symptoms, such as prescription medications, supplements, myofascial release, acupuncture, chiropractor, water therapy and meditation. “We are in pain and tired 24/7. The levels of pain and fatigue can change by the hour due to many factors. Our minds do not work like they did before we were sick. We experience cognitive problems, such as memory loss and difficulties using language. There are approximately 100 overlapping conditions that often co-exist with fibromyalgia. “I want people to know I did not choose to have ME. I wish I could dance and do all the activities that I used to. I feel guilty when my daughter asks me to go for a walk, and sometimes I don’t have enough energy to do so. “I have episodes of brain fog that are unbelievably upsetting. I have almost crashed my car because of the effects of insomnia. I am running on empty. I do not have the energy to keep up with the smallest amounts of housework. Driving drains my energy completely, therefore work is very taxing, and I am fit for bed at 7 p.m. Then I wake up at 2 am and cannot go back to sleep. “People with fibromyalgia aren’t lazy! 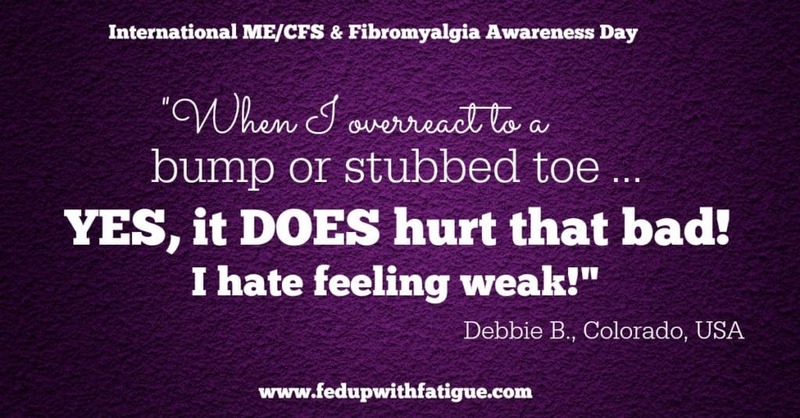 Fibromyalgia is NOT for wimps! We may appear perfectly fine on the outside, but can be in excruciating pain. It’s like having the flu, but the only symptom is very severe body aches. A treatment or drug that works for one person may not work for another person. Being in constant pain is exhausting and can truly change your life. 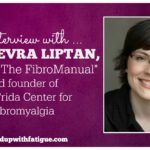 “I want people to know how fibromyalgia completely changes your life. We go from being active outgoing, fun-loving people to introverts who don’t know if they can go out because they don’t know if they’re pain level is manageable or if they even feel well enough to go out. “Imagine feeling sick every day of your life and knowing that there’s no cure. I want them to understand that fibro fog feels like your brain was put in a blender, mashed all up and then poured back into your skull. Try thinking clearly then, you can’t. 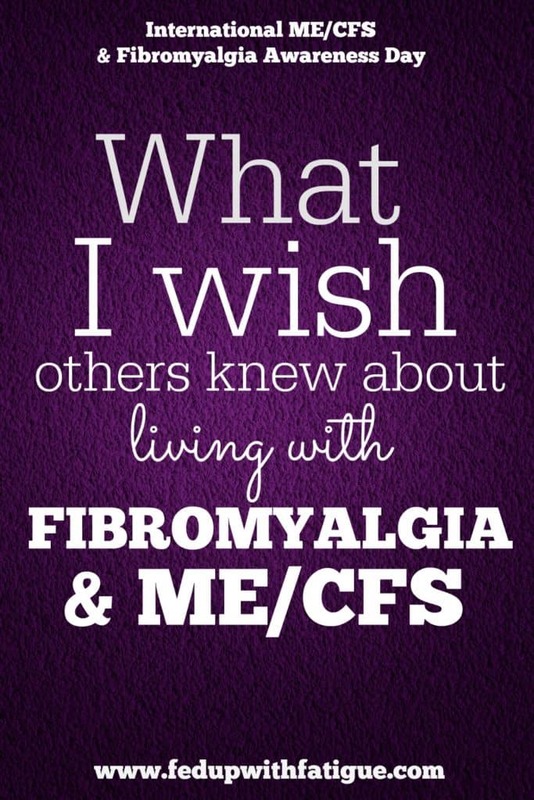 Now, it’s your turn: What do you wish others knew about fibromyalgia and/or ME/CFS? I’d love to read your answers in the comments below! Even though this is associated mostly with women, it affects men too! Everything stated here apples to male sufferers as well! Most definitely! Unfortunately, I didn’t have any males who responded to my request. 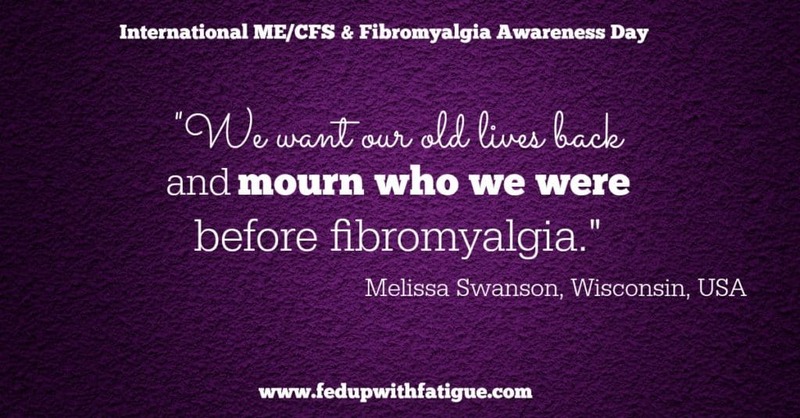 I wasn’t diagnosed with Fibro until 2009. I had suffered with many symptoms prior to the diagnosis. Doctor’s always said it was arthritis. 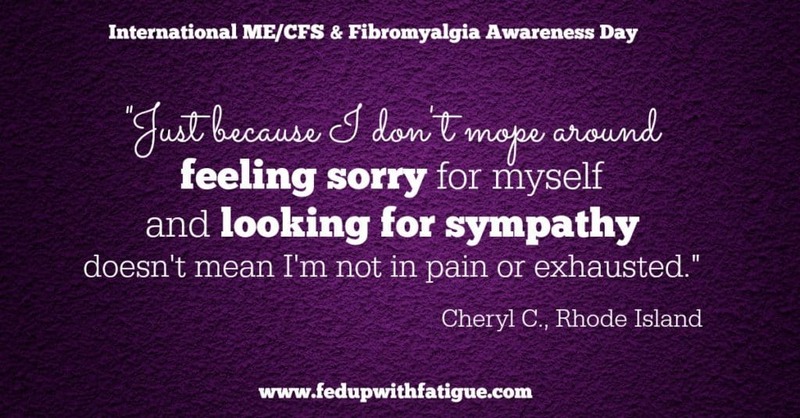 My Rheumatologist finally diagnosed me with Fibro, when he started pushing on the tender spots. I have no idea why he didn’t do this on the first visit. Every day my pain level is a 5 or 6. I have learned to tolerate it. It would be a wonderful day if I could be on a level 2 even. I have forgotten what that feels like. When my pain level is 8 to 10 I could just scream. 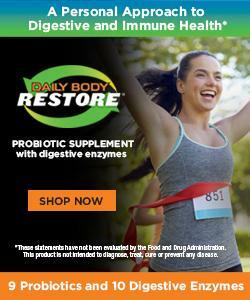 I take nine supplements recommended by my PCP. The vitamin B-12 did help me have more energy throughout the day. I thank God that I am retired and not expected to work every day. I wouldn’t be able to do it. My heart goes out to all that do, and are raising a family. My children are all grown now. I’m probably like most people who have been given every type of medicine there is. Right now, I’m on Gabapentin 300 mg, 3 times per day. It works, but not as good as I’d like it too. I take medicine at night before bed to help me with pain, and I take 5 mg ambien to help me sleep. Every day is a vicious circle. 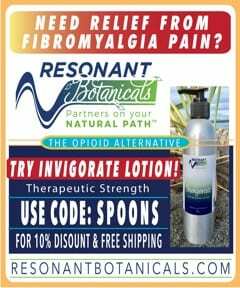 Can we post this on my Fibromyalgia is Real series? This would give people a good idea of how widespread it is and how different it is for each of us. 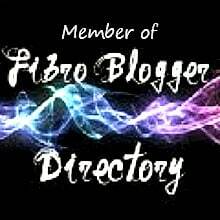 Hi Mandy, you’re welcome to share a link to this post w/in your Fibromyalgia is Real series. Thank you for asking! 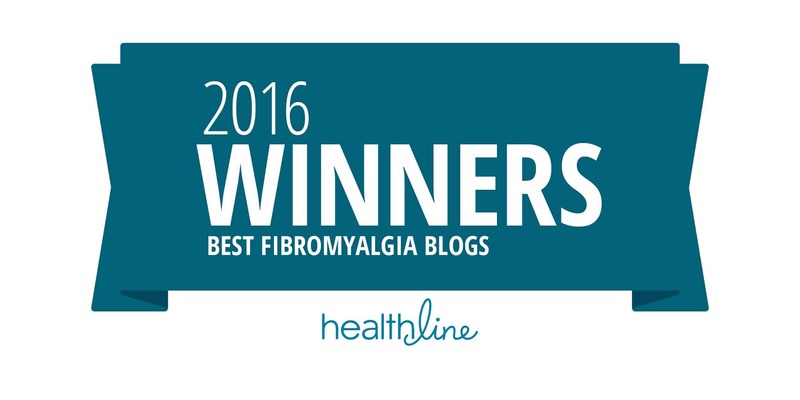 Thank you for sharing all of our insights to what we want others to know of fibromyalgia. We all have different perspectives, and sharing that difference shows how versatile fibromyalgia is and works in us. It shows the various of degrees in symptoms and how complex it truly is. Like one of the fibromyalgia thrivers said, don’t judge someone because you don’t know what’s truly going on in their body. You guys are luckier than I am (so to speak). I don’t have a diagnosis. All of the doctors I have seen get a far-off look in their eyes and mumble about “there is so much that we don’t know about the human body”. I mean, come on, not even a guess? So I have to read up on everything just in case something pops. Whatever my diagnosis, it has the word chronic in it, I know that much. I have had a massive headache for several years now, 24/7/365, and it often wakes me up to perform its “chew the top of my head off” routine. When that happens, nothing works. Most of my head pain centers on the left side of my head, in a general kind of way. My right leg didn’t get the memo though. It starts the day with a sunburned feeling, then moves to fire ants and plantar muscle cramps then by the time bedtime rolls around it feels like it is being boiled in oil, from my toes to my privates. With all that, it’s no surprise that I don’t sleep well at night, which explains my long naps. But no medical professional has a clue as to what might be wrong. Lots of amateur advice, however. 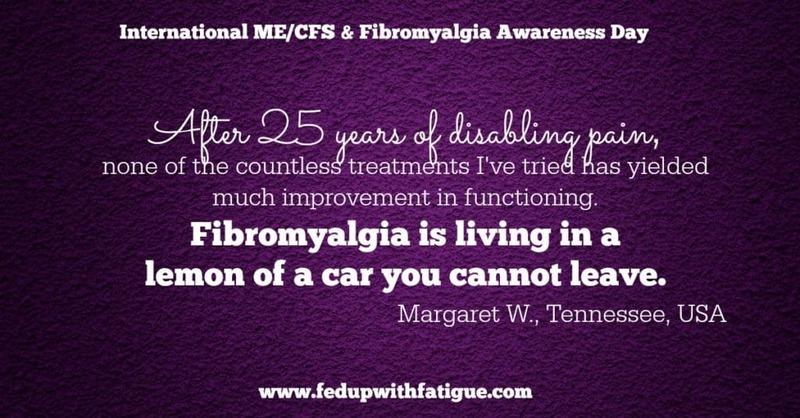 I lived 25 yrs with Fibro before a pain management specialist diagnosed me. I was with her for about 3 yrs before she moved on to work strictly at the hospital which meant I had to find a new family doc. First question I asked was “do you believe in fibromyalgia and can you support me throughout”. Her response was a resounding YES OF COURSE. I then spent 8 yrs having to encourage her to try different meds, refer to other specialists, xrays, therapies, treatments ets. Finally I called her on it (I was tired of being the one to suggest things that SHE as a doctor should offer to me). Her response was for me to find a new doctor (she basically confirmed it was all in my mind). What would I like others to know? I WISH ALL DOCTORS WOULD GET ON THE SAME PAGE, these are real symptoms, the pain is real, the fatigue is real, the insomnia is real, the brain fog is real…..